Criticisms of Ellen G. White: "Mrs. White's Health Visions: From God? Or Dr. Jackson?" I did not visit Dansville till August, 1864, fourteen months after I had the [vision]. I did not read any works upon health until I had written Spiritual Gifts, volumes 3 and 4, Appeal to Mothers, and had sketched out most of my six articles in the six numbers of How to Live.—Selected Messages, vol. 3, p. 276. Appeal to Mothers came out in April 1864. Volumes 3 and 4 of Spiritual Gifts, while perhaps written earlier, were not published until about August 1864. The How to Live series came out in 1865. Dirk claims that Ellen White started writing her six articles for that series in June 1864. 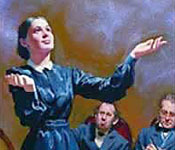 Therefore, Dirk's charge is that Ellen White was reading the works of others prior to April or August 1864, though she denied doing so. Thus, instead of Ellen White being shown in vision concepts and ideas similar to Dr. Jackson, Dirk contends that she got them straight from Jackson and fraudulently claimed to have gotten them in vision. When the books arrived Mrs. White claimed they remained in the wrappers, but on December 12, 1863, James was mailing Jackson's Consumption from Topsham to a friend, Ira Abbey, in Brookfield, New York. Even more troubling, James White printed an article out of Jackson's book Laws of Life in the October 27 issue of the Review and Herald. It appears those wrappers came off those books at least nine months prior to Mrs. White writing out her vision! We freely admit that the first evidence of "plagiarism" above was not likely intentional on Dirk's part. Anyone soon after reading a book who writes a letter or paper is liable to utilize striking phrases from what was just read without even realizing it. Wait a minute. What did we just write? "Striking" phrases? We were trying to think of a good word to go with "phrases," and thought that "striking" would do the trick. But then we realized that the likely reason why that word came to mind was because Dirk and Numbers had both used the word "striking" in the first comparison above. Thus, without our even realizing it, we were using similar wording to these two authors that we had recently read. Who knows? Perhaps some of the verbal similarities between Ellen White's writings and those of others can be explained in this way. And perhaps this could even account for some of the verbal similarities that critics of the Bible have noticed between certain Bible passages and other biblical and non-biblical writings. For those who might be concerned about Dirk's use of Dr. Harriet Austin's picture from page 133 of Numbers' book, we'd like to say that the draft text of his web page that Dirk sent us includes a note that indicates that he asked Numbers' permission to use it. Still, in order to avoid accusations of plagiarism under today's rigorous standards, he probably should have cited where he had gotten the picture from. What we want to do now is examine the evidence presented by Dirk and Numbers point by point to see if they have made a good case. 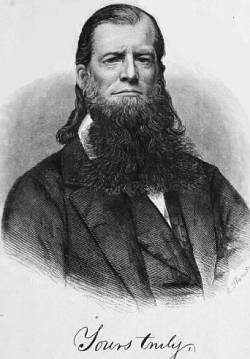 Does the evidence point to Ellen White getting her health reform material from Dr. Jackson prior to April or August 1864? This seems like a strange citation to prove that "Adventists who were familiar with Dr. Jackson's writings were surprised by the marked similarities," since the couple referred to were not Adventists. But ignoring that for the moment, it seems difficult to use a June 1865 letter about a recent event to prove that Ellen White had read Jackson's books before April or August 1864. Question on the Vision .--Did you receive your views upon health reform before visiting the Health Institute at Dansville, New York, or before you had read works on the subject? I did not visit Dansville till August, 1864, fourteen months after I had the view. I did not read any works upon health until I had written Spiritual Gifts, volumes 3 and 4, Appeal to Mothers, and had sketched out most of my six articles in the six numbers of How to Live . I did not know that such a paper existed as The Laws of Life, published at Dansville, N.Y. I had not heard of the several works upon health, written by Dr. J. C. Jackson, and other publications at Dansville, at the time I had the view named above. I did not know that such works existed until September, 1863, when in Boston, Mass., my husband saw them advertised in a periodical called the Voice of the Prophets, published by Eld. J. V. Himes. My husband ordered the works from Dansville and received them at Topsham, Maine. His business gave him no time to peruse them, and as I determined not to read them until I had written out my views, the books remained in their wrappers. As I introduced the subject of health to friends where I labored in Michigan, New England, and in the State of New York, and spoke against drugs and flesh meats, and in favor of water, pure air, and a proper diet, the reply was often made, "You speak very nearly the opinions taught in the Laws of Life, and other publications, by Drs. Trall, Jackson, and others. Have you read that paper and those works?" My reply was that I had not, neither should I read them till I had fully written out my views, lest it should be said that I have received my light upon the subject of health from physicians, and not from the Lord. It is the claims made in the above statement that Dirk takes exception to. Clearly the Whites were familiar with Dr. Jackson's writings at least four months prior to the date of the vision. In fact, James reprinted Jackson's article on Diphtheria in the February 17, 1863, edition of the Review and Herald. I did not know that such a paper existed as The Laws of Life, published at Dansville, N.Y. I had not heard of the several works upon health, written by Dr. J. C. Jackson, and other publications at Dansville, at the time I had the view named above. I did not know that such works existed until September, 1863, when in Boston, Mass., my husband saw them advertised in a periodical called the Voice of the Prophets, published by Eld. J. V. Himes. The periodical entitled The Laws of Life. "The several works" or books "upon health, written by Dr. J. C. Jackson." Dirk's quotation about Jackson's article on diphtheria came from Early Years. Yet that very quotation claims that the article James and Ellen White read came from the Yates County Chronicle of Penn Yan, not from a book or paper or publication from Dansville. Penn Yan is roughly 40 miles and two counties to the east northeast of Dansville. Moreover, this article that James reprinted in the Review in February begins with "MY DEAR SIR:" and ends with "Most truly your friend, JAMES C. JACKSON, M. D. To S. C. Cleveland, Esq., Editor of the Yates Co. Chronicle, Penn Yan, N. Y." Thus this "article" was really a letter to the editor of the Yates Co. Chronicle. It was neither an article from The Laws of Life nor a chapter from one of Jackson's "works." And this letter as published gives no hint that Dr. Jackson had written or published any books, articles, or periodicals. In other words, there is nothing about Jackson's letter to the editor that indicates that Ellen White knew anything about the three things she denied knowing about until September 1863. It appears that Dirk misread Ellen White again. She stated that she was unfamiliar with Jackson's books, but she never said what her husband James did or did not know. If James was like most husbands, he did a lot of things without telling his wife. So whether he sent off for some of Jackson's books in June or not is essentially irrelevant to the question of what Ellen White did or did not know. Additionally, as Ronald Numbers, the source of Dirk's wording at this point (see second comparison at the top), makes crystal clear, James stated emphatically that he didn't know "the name of a single publication offered for sale at" Dansville. If around June of 1863 he didn't know any of their titles, then there really is nothing here that proves that Ellen White knew any of the titles either prior to September 1863. Incidentally, James and Ellen left Battle Creek, Michigan, on August 19, 1863, bound for Boston (Adelia Patten in Appeal to Youth, p. 21). They spent August 22 and 23 at Somerset, New York, and the 29th and 30th at Port Byron, New York. They then proceeded to Boston where James was to work on the design of some charts on prophecy and the 10 Commandments. Between that point and when they arrived at Topsham, Maine, on September 18, they were in the greater Boston area (James White, "Eastern Tour," Review, Sept. 29, 1863). Whether James received Dr. Jackson's August 13 letter before he left Battle Creek on the 19th, or whether it was forwarded to him at Topsham where he would have read it during the last half of September, Dirk does not say. 1) If James received it by August 19th, and 2) if it contained information about Jackson's books, and 3) if James shared that information with Ellen, then maybe Dirk would have a case that Ellen White lied when she said that she did not know about such books until but a few weeks later when she was in Boston. But if Jackson's letter did not get to Battle Creek before the Whites left, then James would not likely have been able to read it before seeing Himes' paper in Boston in September. In this case, Dirk has misread both Ellen White and Numbers, the source he plagiarized from. First of all, Ellen White said, "I did not know that such a paper existed as The Laws of Life." If The Laws of Life was a paper, which it was, then it wasn't a book, and thus the fact that an article was printed from it has no bearing whatsoever on whether the books "remained in the wrappers." Secondly, Numbers could not have been clearer in his note 20 that James was not in Battle Creek and thus was not the one responsible for printing that article on hoops in the October 27 issue of the Review. The question Numbers raises instead is whether or not Ellen White knew of that article. But even if she did know that Jackson's article had appeared in the October 27, 1863, issue of the Review, we don't think that would prove that she knew about The Laws of Life prior to September 1863. The most damaging point we can see is that James sent Jackson's book Consumption to Ira Abbey when the books were supposedly still in their wrappers. But come to think of it, people today ship books still in their wrappers all the time. Wrappers today tend to be plastic shrink wrap, and the book titles shine right through, permitting anyone to send the correct book without taking off the wrapper. If the wrappers in James' day were paper, and if they had external markings that identified which book was within, then James could have easily sent off the book specified without ever taking it out of its wrapper. In fact, sending it still in its wrapper would likely allow it to arrive in better shape. Since Ellen White said that the books remained in their "wrappers," plural, it does sounds like each book was individually wrapped. I stated the case to him, and told him I had thoughts of taking my husband home. James was a patient at Jackson's facility from September through December 6, 1865, while recovering from a stroke. Ellen had decided that before the winter progressed any further, she needed to get James back home to Battle Creek. In order to arrange for her husband's discharge from Jackson's facility, she paid a visit to Jackson's home. The wife of a patient at today's hospitals would not likely pay a visit to the home of the hospital administrator to arrange a discharge, but Jackson's facility was different. It was operated more like one of today's Lifestyle Centers around the country. At one of these, the lowliest patient might easily obtain a warm welcome at the administrator's home. While we see no evidence in this citation that Ellen White had any closer relationship to Dr. Jackson than any of his other patients' family members, we think that Dirk's omission of the circumstances surrounding her visit to his home distorts the facts. Although Dr. Jackson was quite familiar with Mrs. White, he never accepted her as a prophet. After his medical examination of her he attributed her unusual medical problems to hysteria. According to the testimony of a disaffected Adventist in Iowa, Mrs. White herself stated in 1865 that Jackson had "pronounced her a subject of Hysteria" [H. E. Carver (1877)]. If H. E. Carver and other "disaffected Adventists" in 1877 were more accurate than some of Ellen White's critics today, perhaps this one really is true. But just in case critics back then were as inaccurate as some of their modern-day counterparts we think we'll reserve judgment on this one until we see some solid evidence. Did Ellen White get her health reform material from Dr. Jackson or from vision? She denied that she got it from Jackson, and denied reading the health material of others until about the summer of 1864. Honestly, we can't find any evidence in Dirk's material that she wasn't telling the truth. In the United States of America, one is presumed innocent until proven guilty. Should we not apply the same standard to a case like this one? Where did Ellen White get her health reform material? We know for certain that Ellen White plagiarized from Jackson, even though we can't prove it. Solomon was right. There is nothing new under the sun. That's why her ideas sound so much like Jackson's. Some people are just too nitpicky. They're so critical they'd criticize God Himself if they could. I wouldn't be surprised if God was working through both Jackson and Ellen White, helping America be healthier.